Margarethe (Margarethe von Stern) is a desperate woman dying of some kind of consumptive disease. She frenetically wanders through a bleak, bizarre wilderness toward an underworld inhabited by the ancient Egyptian deity, Anubis. This two part experimental epic was produced, co-written and directed by German producer-director Carsten Frank. It was co-written and stars the actress Margarethe von Stern, who also appeared in Frank's previous SECRETS OF A SOUL (2012) and BESTIE (2013). 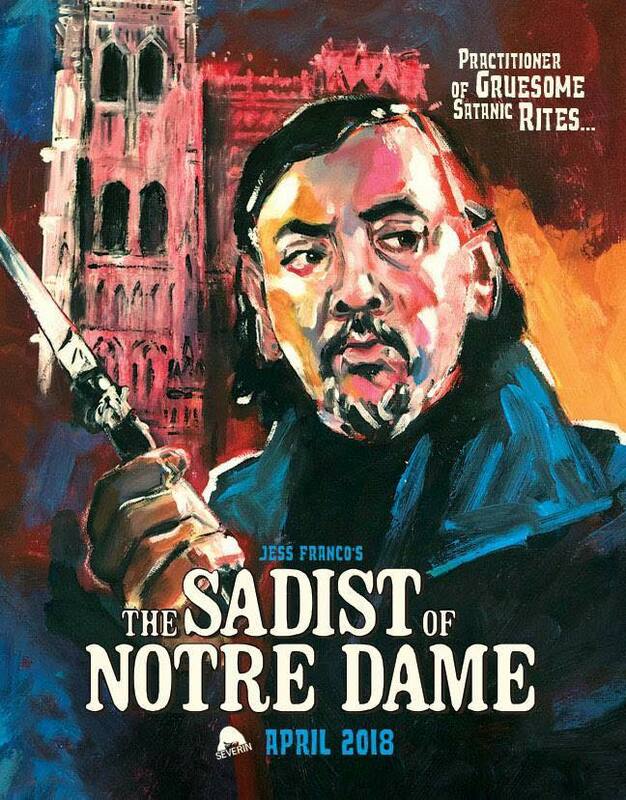 Frank was also involved in several Jess Franco films, and appeared in the late director's final film, along with Ms. von Stern, REVENGE OF THE ALLIGATOR LADIES (2013). 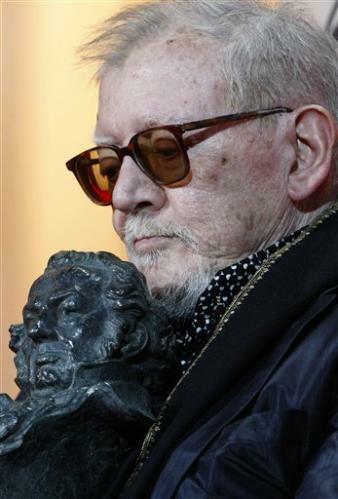 He also appeared as an actor in Franco's INCUBUS (2002), an interesting remake of LORNA, THE EXORCIST (1974). 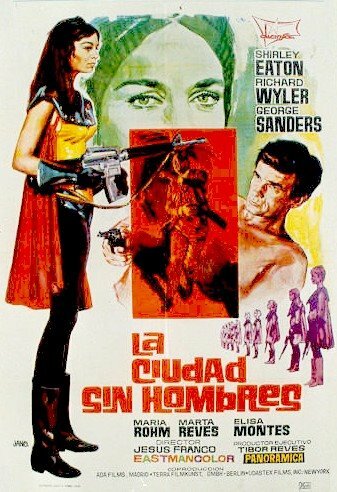 and was an actor in Franco's KILLER BARBYS VS. DRACULA, which he also co-produced. 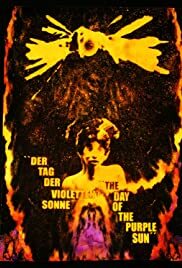 The Day of the Purple Sun can only be described as an experimental horror film, with visionary and occult elements obvious throughout the unsettling, but hypnotic proceedings. If one watches both parts in one sitting, it's 2 and one half hours of being immersed in a mysterious, grotesque, fantastic underworld. The film is disturbing, sometimes gut wrenching, and not for those with a sensitive stomach. It illustrates, with tilted, obsessively probing photography and an outre soundscape, a decaying, fallen world not unlike the death-trip transgressions of Jorg Buttgereit (NEKRONAMTIK). But this film goes even further into that hellish domain. Actress Margarethe von Stern is absolutely magnetic as the pathetic lost soul whom the film is built around. Dying, starving and desperate, she wanders through muddy exteriors in which naked tree branches poke out her eyes at one point. She is observed by a frog-demon and encounters rotting carcasses of other animals, maggots and other creatures of the death cycle. With her large, expressive eyes and seemingly elastic limbs she acts out the role with brilliantly expressed body language instead of dialogue. In fact, there is very little in the film. The first 20 plus minutes is dialogue free and consists of her in the wilderness as the sinister, edgy, industrial soundscape of Maggy Moon drones under the action. There is a ritualistic quality to each scene, especially in Part 2, in which she is taken to the ancient Egyptian underworld by the masked deity, Anubis, played by director Frank. One can almost smell the odor of decay and death at certain times and the atmosphere is rich in occult electricity, mystery and a sense of entering alternate realities. I can only compare it to certain works by Kenneth Anger (LUCIFER RISING), the final scenes of Lucio Fulci's THE BEYOND, and the New York Underground films of filmmaker, actor, performance artist Jack Smith (FLAMING CREATURES). This is very much worth seeing for the down to earth, emotionally intense, existential presence of Margarethe von Stern, a performance artist who knows no boundaries. She projects all the emotions of the human rainbow and an other-worldly quality as well.